All the big reveals and announcements from this year's E3 have come and gone, so now it's time to make a list of my most hotly anticipated games from this year's floor. Some we've seen before from past E3s, while most are brand spanking new. Here's my top ten personal picks based on anticipation and excitement solely. Let's get this started! 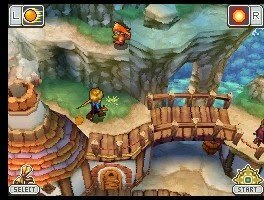 The Golden Sun trilogy comes to a close with Golden Sun: Dark Dawn, the third installment of this fun RPG series. This time touch screen support and full 3D visuals. Join Isaac and the gang as they battle a new evil that threatens Weyard. 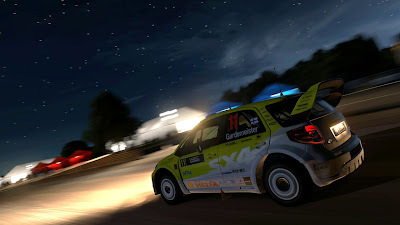 Given an early November release date, Gran Turismo 5 promises lots of driving simulating action including online play and night racing. It seems like forever, but Gran Turismo 5 is finally coming out to racing-hungry PlayStation 3 owners. Build the levels of your dreams with improved game control via PlayStation Move, new tricks and gadgets to tinker around with, and new game types to play in. No longer are you just confined to 2D platforming as you can even take on the shoot-em-up genre! 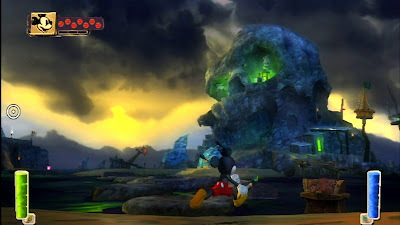 Receiving a hefty graphical overhaul, Disney's Epic Mickey in part by famed developer Warren Spector takes the mighty mouse to new heights on a brand-new adventure exclusively for Nintendo Wii. 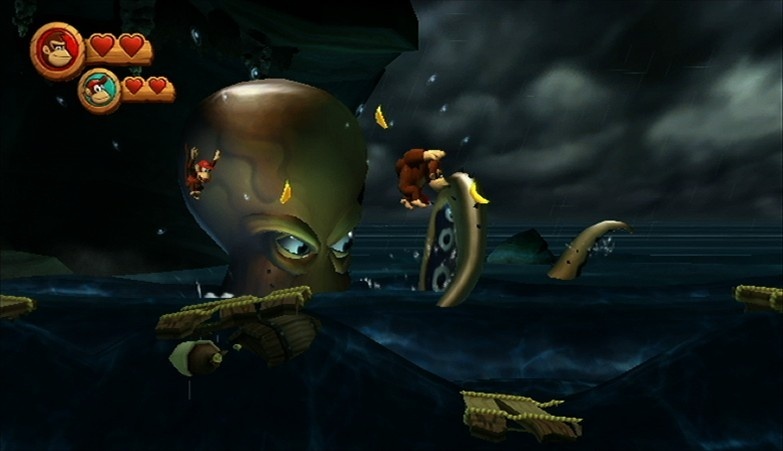 Part 3D, part 2D, the platforming renaissance is on and it's on Wii. We haven't seen a full-fledged console Kirby game since Kirby 64 way back on the Nintendo 64 funnily enough. 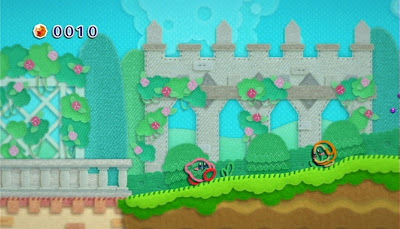 Nintendo aims to correct this with the visually astounding Kirby's Epic Yarn with backgrounds and characters made up of yarn and carpeting. Originally due out later this month, Metroid: Other M is hunting the Metroid menace on August 31st for lucky Americans. For everyone else, a September release seems likely. 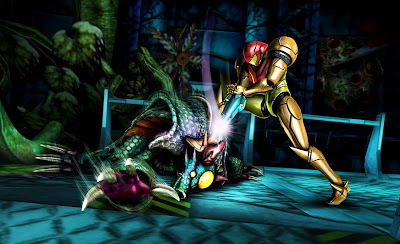 Join Samus Aran after the events of Super Metroid and learn the secrets of her mysterious past. The first shown game for Nintendo's new 3DS handheld, Kid Icarus: Uprising marks the decades old return of everyone's favorite winged hero, Pit. From the trailer we can see 3D battles taking place in land and by air. 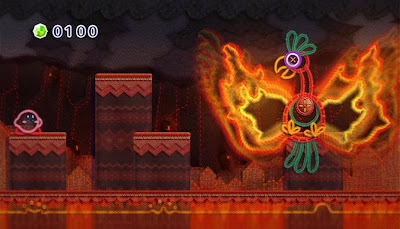 A graphically impressive game, Kid Icarus: Uprising aims to whet the appetites of hungry handheld fans. I loved Tatsunoko VS. Capcom, so this game quickly jumped to my list. If you saw the gameplay trailers posted last night you'll understand why. 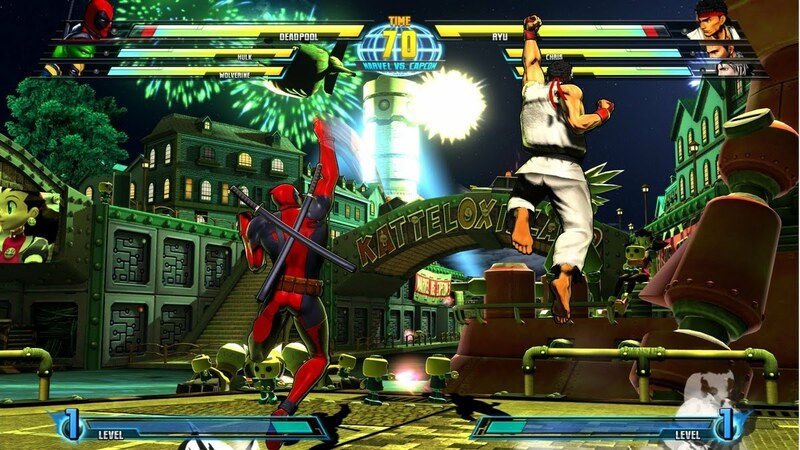 High-octane 3-on-3 warfare is what Marvel VS. Capcom's third offering is all about. Here's hoping Mega Man joins the fray! It's been over a decade since Rare put the finishing touches on the original Donkey Kong Country. Now another Western developer is taking their touch on the franchise with a brand-new installment to this widely popular and successful franchise. While the E3 presser demo was less than spectacular, word is on the show floor is that the newest Zelda title from Nintendo delivers in spades. With a gorgeous cel-shaded art style, MotionPlus support, and promised retooling to the classic formula, Skyward Sword is definitely one title to look out for when it launches some time next year. There's my top ten abbreviated. 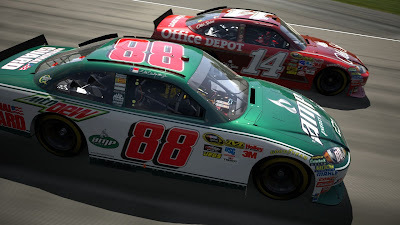 Which games from this past E3 of 2010 are yours? Drop me a line in the comments section to let me and everyone else reading know. The videos from E3 keep pouring in on this busy week at SuperPhillip Central. Sort of makes up for my mini-vacation last week. Our specimen here is Marvel VS. Capcom 3, a game I'm hotly anticipating since I adored Tatsunoko VS. Capcom for Wii. 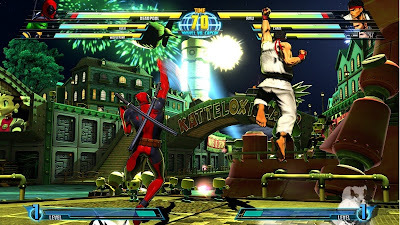 Fortunately, the HD twins get their turn at a brand-new VS. Capcom title, and it's shaping up to be a doozy. Don't want to take it from me? Watch this trio of gameplay videos and come back and see me! 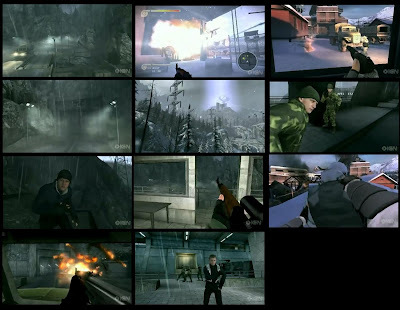 The backgrounds are extremely busy, and in an interactive entertaining way, and the fighting is as hectic as ever! The fourth installment of the Motorstorm series goes where no HD game has gone before-- a post-apocalyptic world. I'm just kidding. The setting is hugely popular with developers, and Evolution Studios is no different. While it was only part of a montage at Sony's press conference, the full debut trailer for Motorstorm: Apocalypse is available right here on SuperPhillip Central. Of course, not exclusively. Watch cars, trucks, and bikes jet through fully destructible environments, subways, and much more. Hopefully this high-impact racer sees a fall release. Sonic Colors is a Nintendo-exclusive Sonic game featuring the lovable hedgehog who lives life on the edge. This time he's visiting an amusement park to stop the evil Eggman from cooking up whatever sinister plot is inside his head. What follows first is a quick E3 trailer with the accompanying theme song followed by some gameplay of Sonic Colors (Wii edition) in action. Now for the piece de resistance. 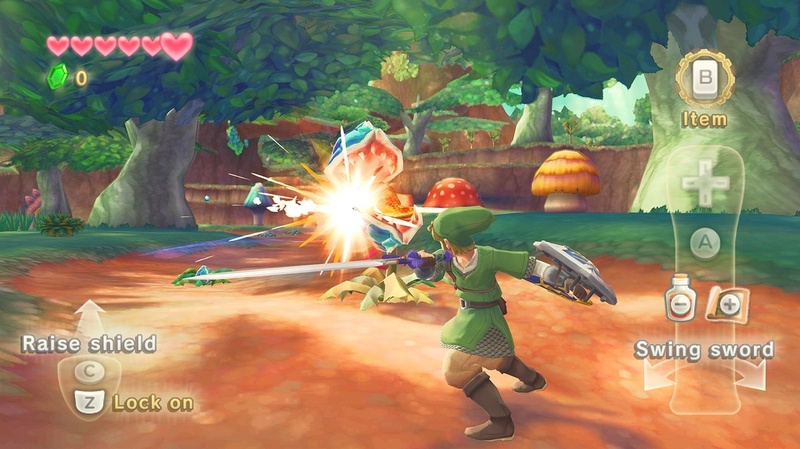 It's the debut trailer for the newest console iteration of the Legend of Zelda. Armed with new tools and new moves, Link is back, but is he better than ever? MotionPlus use says maybe so. The game has a unique combination of realism and cel-shaded for an appetizing display of color. 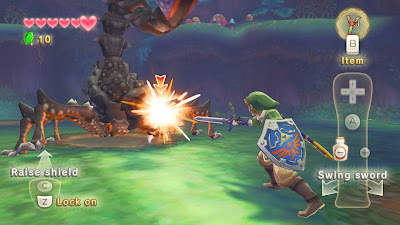 We'll see how Skyward Sword turns out when it nears release sometime next year. Metroid: Other M is just months away. Revealed at last year's E3, this joint effort between Nintendo and Team Ninja is shaping up quite nicely as you can see by this newest trailer. 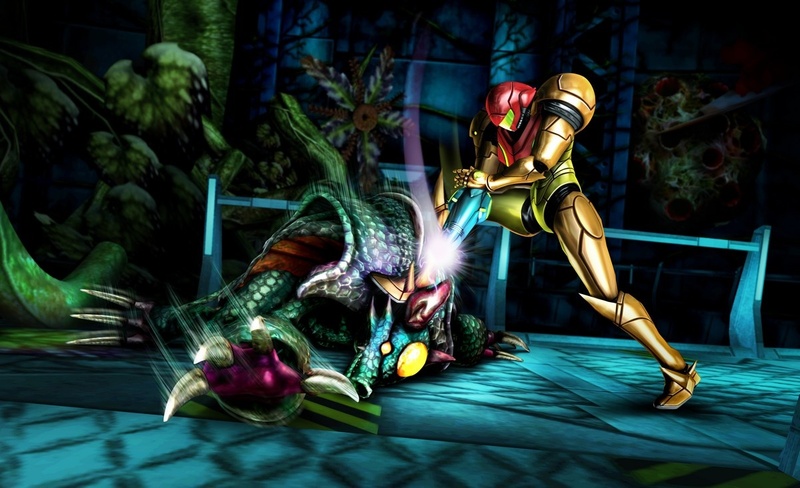 Samus can traverse levels in third-person, and with a point of the Wii remote can switch into a stationary first-person view, perfect for scouting hidden goodies. 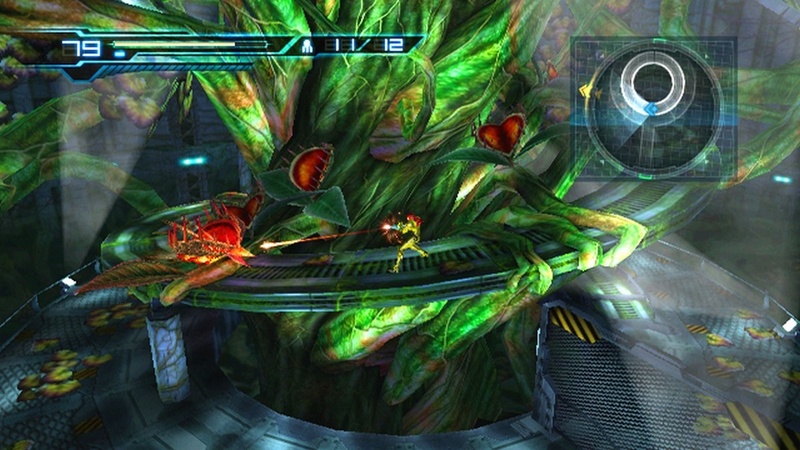 Metroid: Other M hits the Wii in North America on the last day of August. Time to party hardy, Marty. It's Wii Party, a game that is sure to be a sure-fire hit with the expanded audience with its simple yet fun mini-games like shooting a can as many times as you can while keeping it in the air or balancing a boat-ful of Miis so they don't fall into the ocean. Mix things up with a board game mode, and you have an intriguing alternative to Mario Party. 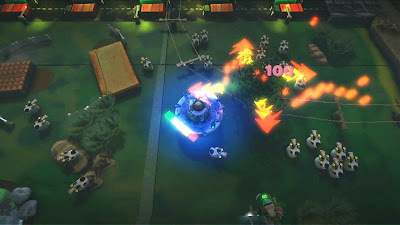 Check out Wii Party when it hits the U.S. like a monsoon this fall. 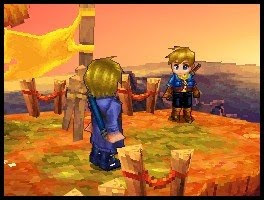 The third installment of the Golden Sun franchise has its subtitle, and it is none other than Dark Dawn. Play as familiar characters such as Isaac as he travels Weyard to right the wrongs of a new evil that has erupted onto the planet. Use psynergy spells with the touch screen to unleash powers and solve puzzles, or duke it out in battle in glorious 3D. Here's hoping we see a fall launch for this hotly anticipated RPG from Camelot. Taking four beloved sports and placing them into one game with a Mushroom Kingdom twist, and you get Mario Sports Mix, an upcoming sports title for Wii. The game features volleyball, basketball, dodgeball, and hockey-- each with their own special Mushroom Kingdom rules and havoc. For instance, on DK Dock, a dodgeball arena, treadmills move back and forth, messing with the player's precision. Stay tuned for more from Mario and his pals sometime in the coming year. Showcasing a beautiful and cutesy new art style made up of bits of yarn, Kirby is back and looking to be better than ever. This is his first console adventure since Kirby 64 if we're not counting spin-offs, and this game looks to have all the charm the series is known for. Here's hoping we see it at a budget price unless this game is beefed up with some serious content. Kid Icarus has been in hibernation for a long time. Yes, he's recently joined the fight in Super Smash Bros. Brawl, but he hasn't had a game to himself for a long, long time. 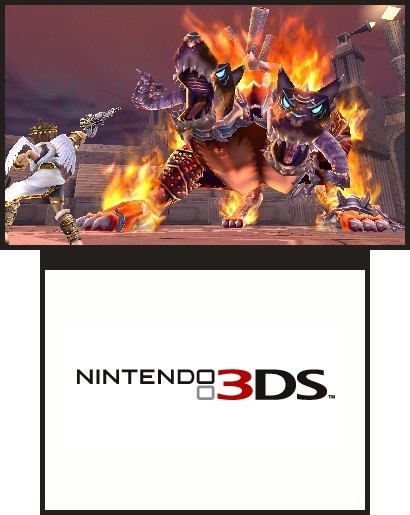 Can't say that any more with Kid Icarus: Uprising, the first 3DS game to be unveiled. Examine Pit's fleet feet, fast flying, and bow-expertise. Look forward to Pit's first adventure in decades sometime soon when the 3DS launches! 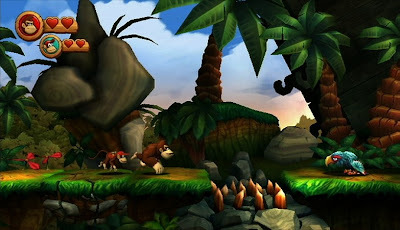 As if predicting this title through my reviews of the original DKC trilogy, a fourth Donkey Kong Country is in the works for Wii from Retro Studios, the folks behind the Metroid Prime franchise. Watch the classic action unfold as DK and Diddy swing from vines, launch themselves from mine carts, and tackle some serious bosses in this incredible trailer courtesy of Nintendo's press conference. 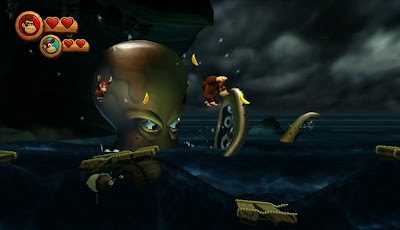 This montage from Microsoft's E3 presser showcases five intriguing new games coming to the Xbox 360's Xbox Live Arcade this summer. There's everything from Lara Croft to slaying demons with a buddy in Castlevania to wet and wild action in Hydro Thunder: Hurricane. The other two games include Monday Night Combat and an intriguing 2D platformer, Limbo. Enjoy the footage. Speaking of returning characters, Rayman has also returned, and this time he's in a full-fledged 2D platforming adventure. This HD trailer beautifully showcases the game in motion with Rayman being born by a group of forest nymphs. Watch as Rayman bounces around from one platfomr to another. This is one welcomed surprise from the folks that brought us the original Rayman for the PlayStation. Welcome to a special E3 edition of SuperPhillip's favorite VGMs. You don't need no press pass to enter here! This week we have Sonic the Hedgehog, Tatsunoko VS. Capcom, and NiGHTS to start us off right. Enough banter from me, let's get listening to some good music. This is a rare three-fer here on SuperPhillip's Favorite VGMs. The specimen this time? Sonic Advance 3's first zone, Route 99-- all three acts of it. The Sonic Advance series was a fun trilogy of games that had a good amount of speed and some slow sections of platforming thrown in for good measure. However, it did have a lot of unforgiving pits and spike traps that may frustrate some gamers. How was NiGHTS: Journey of Dreams? Beats me. I stopped by the third world. What I did play was enjoyable enough, though playing as the kids in the overworld was pretty piss-poor. Let's talk about something better-- the sensational soundtrack! This theme plays for the first boss-- the drifting Donbalon. It has an Arabic feel to it, does it not? Hope you enjoy it more than the critics enjoyed the game. Xenogears was a game that I once again tried to force myself to play through, but alas, it was all for naught. I couldn't complete it. Regardless, I did enjoy the soundtrack immensely, and I remember playing my brother's data just so I could listen to the game's jukebox. Yasunori Mitsuda, you, sir, are a genius. And this beautiful main theme of Xenogears with enchanting vocals proves this. The Shop menu in Tatsunoko VS. Capcom: Ultimate All-Stars is where players can purchase all sorts of things from different colored costumes to comic pages. The song itself is quite catchy full of a wonderful poppy melody. 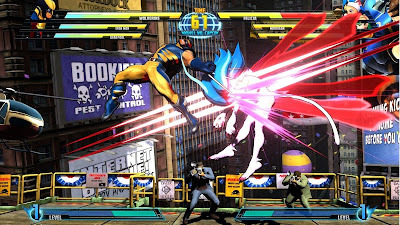 Tatsunoko VS. Capcom is an awesome fighter, and it's a terrific Wii title for fighting fans. Heck, even Tatsunoko and/or Capcom fans! The first of six stadiums in Mario's original baseball outing, Mario Stadium, is a ballpark without any gimmicks. It's just straight-up classic baseball fun with bright, vivid colors and on Isle Delfino. The game itself is quite fun though fielding can be a bit problematic. Regardless, this theme is peppy and perfect for three to nine innings of baseball fun-- especially now that baseball season has started! There you go with another installment of juicy, delicious video game tracks. Until next week, check out past installments of the Favorite VGMs by clicking on this link here. Bond is back. Well... sort of. 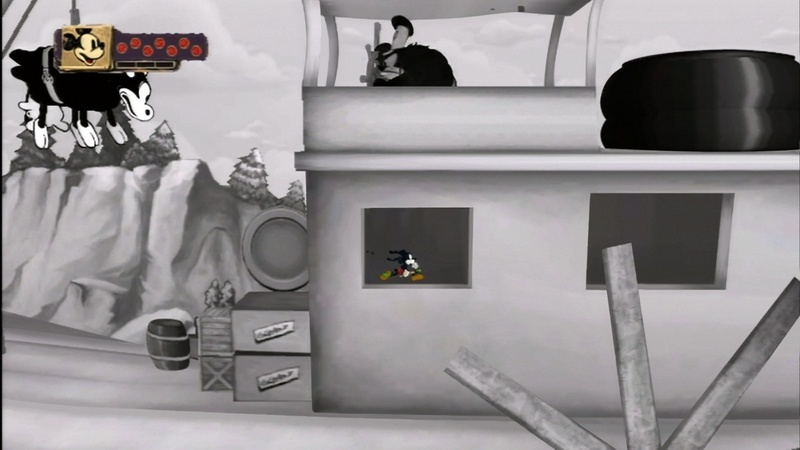 Daniel Craig reprises his role as James Bond in this remake of Goldeneye 007 for the Nintendo Wii. 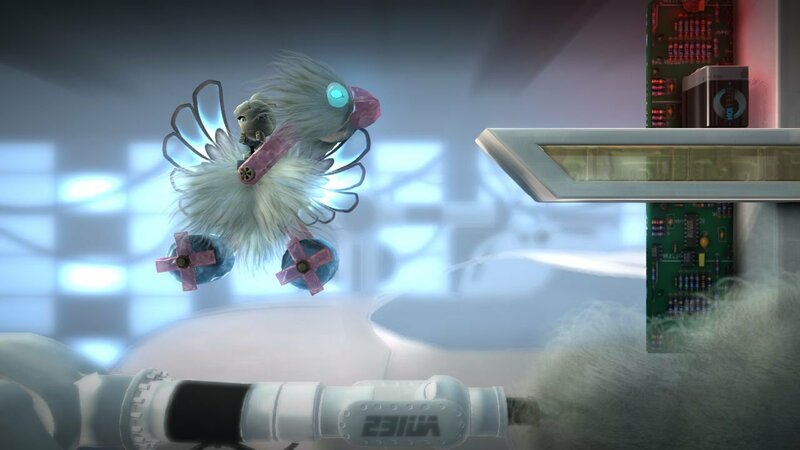 Watch the tried and true gameplay, updated visuals, and fun and hectic multiplayer modes all promised for this November-- exclusively for Wii. I got a chance to play the original Goldeneye, and if my review is any indication, the foundation is already there for an awesome game. UPDATE: The original video has since been taken down, but here are some screen grabs from said trailer to hold you over until the trailer is put back up. Confirmed - Natal is now Xbox Kinect. E3 has yet to even officially begin, and we're hammered with some big time news courtesy of USA Today. There's no word on a price yet, but a name has been solidified, Xbox Kinect. We're connecting as gamers and as families now it seems. Here's a tentative list of titles set to come to Nata-- I mean, Xbox Kinect. •Dance Central, in development by MTV Games, brings a So You Think You Can Dance experience home. Here's looking for more laughs coming from Microsoft at this year's E3. Stay tuned for further updates from MS and the ensuing gun games to follow for their userbase later this week.